Are you feeling stressed about the challenges of continuing education to advance your career? Perhaps you are returning for retooling, or enrolling for the first time. Your pathway to a successful career begins with two steps, if your goals require an educational degree. Step 1: Identify the best university for you. Step 2: Successfully complete the program and get your degree. In today’s busy and frantic world, you must use time wisely to enhance your quality of life. Online universities offer options and flexibility not available from traditional institutions. However, it can be a daunting task to research accredited online universities and align your needs with their programs, degrees, curriculum, tuition structure, and philosophy. It’s important to get this done quickly and efficiently for your peace of mind. Unless you get this first step right, you’ll be wasting lots of money and time, not to mention the additional stress from an avoidable mistake. I have had the opportunity to gain personal experience with bestonlineuniversities.com, a website that exceeds my expectations for “One Stop, Full Service.” It’s kind of like going to Travelocity or Orbitz to plan and book a vacation, but for online education. Besides user friendly interfaces to access and analyze over 1,000 accredited online degree programs, the site offers valuable articles and an extensive library of resources for achieving your academic and career goals. Now that you’ve breezed through identifying the best online university, the next challenge is completing your program with enthusiasm, ease, and great grades. Unfortunately, few students have mastered the life competency of “learning how to learn.” Brain PathWays for Academic Success, based on recent advances in neuroscience and personalized, accelerated learning strategies, is the most comprehensive system available for adult learning success; it teaches strategies for aligning learning with your brain’s preference for taking in and retaining information. Doesn’t it make sense that when you learn in the way your brain learns best, you will experience less stress and learn more, faster? In summary, you can eliminate much of the stress of selecting the best online university, and succeeding academically, by researching programs online, and using resources such as Brain PathWays for Academic Success, or those presented in the Science of Learning article. It’s never too late to learn and develop the life skill of “learning how to learn.” The rewards of “being the best you can be” through continuous learning and improvement are priceless and last a lifetime. 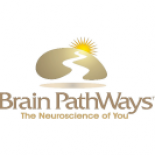 This entry was posted on May 15, 2014 by brainpathways in Education and tagged academic achievement, College, Education, neuroscience, online education, online university, University.